Al-Nusra Front (ANF), the al-Qaeda affiliate in Syria, today claimed responsibility for a suicide attack on a regime-controlled neighborhood in Damascus, AFP reported. 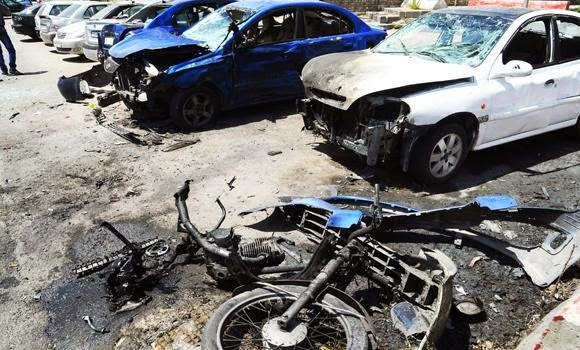 AFP quoted a Syrian security official as saying that on Monday morning, a group of insurgents on motorcycles attacked Rukn Al-Din neighborhood and detonated a suicide bomb when Syrian security forces came near. The neighborhood is well guarded and is home to many military officers. The attack took place near a military building used by the army’s logistics directorate. Syrian Observatory for Human Rights said the blast has wounded General Mohammad Eid, the commanding general of Syrian army logistics. The ability of Al-Nusra to penetrate one of the safest neighborhoods in Damascus, not far from the Presidential Palace, and launch an attack and detonated a bomb inside an army building is very concerning. ANF and its allies have in recent weeks captured practically all of Idilb province and are threatening a highway that links Idilb with Latakia, the principal seaport in the country. After watching a recent Youtube video about some anti Assad force parading just ten kilometres from Assads palace I am convinced his days are nearly numbered. Looks like the Akhoonds will lose Tehran after all.